Justice Secretary Ken Clarke said proposed new EU-wide rules will give greater support to Britains who fall victim to crime while abroad. Proposed new EU-wide laws would ensure British citizens who fall victim to crime while abroad receive better help from the local authorities. 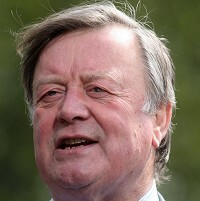 Justice Secretary Ken Clarke, who was detailing the proposals to MPs in the House of Commons, said the new rules would guarantee fairer treatment for Britons if they were a victim of crime anywhere in Europe. He said increasing numbers of British nationals are both travelling and working across the EU, but at the moment if they fall victim to crime, "I don't think they always receive the level of support they would expect in similar circumstances in the UK". While having good travel insurance cover in place means any items stolen or damaged in the crime are replaced, the new EU directive would ensure Britons receive proper care, attention and support from the local law enforcement authorities. Conservative MP Mike Weatherley added: "Many unscrupulous criminals specifically target foreign nationals, tourists in particular." "Victims of crime are often at their most vulnerable when they are abroad."